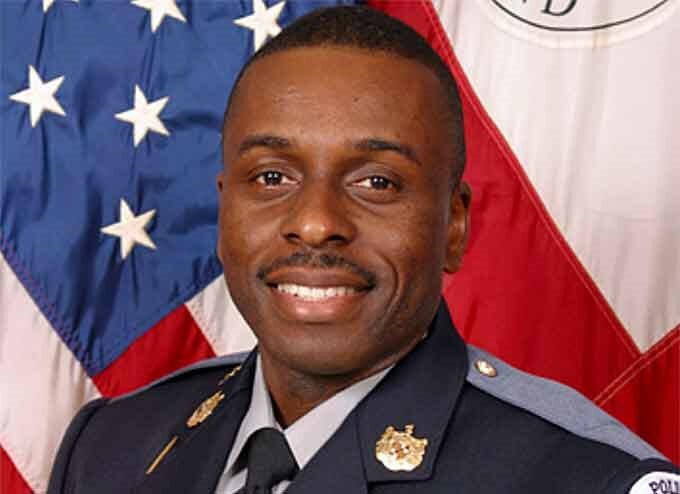 Mujahid Ramzziddin, an off-duty Prince George’s County police officer was shot and killed on February 21, 2018, while helping a woman next door in an incident of domestic violence, the department’s police chief said. He was steps from his own home. “A neighbor came to him at his home – he was not working – needing help. He immediately responded to that plea from help,” Chief Henry Stawinski said at a press conference on Wednesday afternoon. “And shortly thereafter found himself in a confrontation with a man with a shotgun. Cold, callous,” he added. Ramzziddin, who had served in the department for 14 years, was off-duty Wednesday morning when he was approached by the neighbor, County Police Chief Stawinski said. He saved her life by giving his own. I’m extraordinarily proud of him,” he said. Sean Stinette, who is running for office in Baltimore City, broke the news to the Muslim community. Ramzziddin accepted Islam in 1997. He is survived by four children and two grandchildren and his wife, Tammi. Allah says, “Men are the protectors and maintainers of women…. ” (Qur’an 4:34), quoted Jeyone Muhammad, sharing the news on social media networks. “Br Mujahid lived up to his name, which means the one who struggles in the path of Allah,” said a member of the Prince George’s Muslim community. His ghusl (ritual washing) took place at the Prince George’s County Muslim Association. The janazah will take place at the Diyanet Center of America on Friday, February 23, 2018.